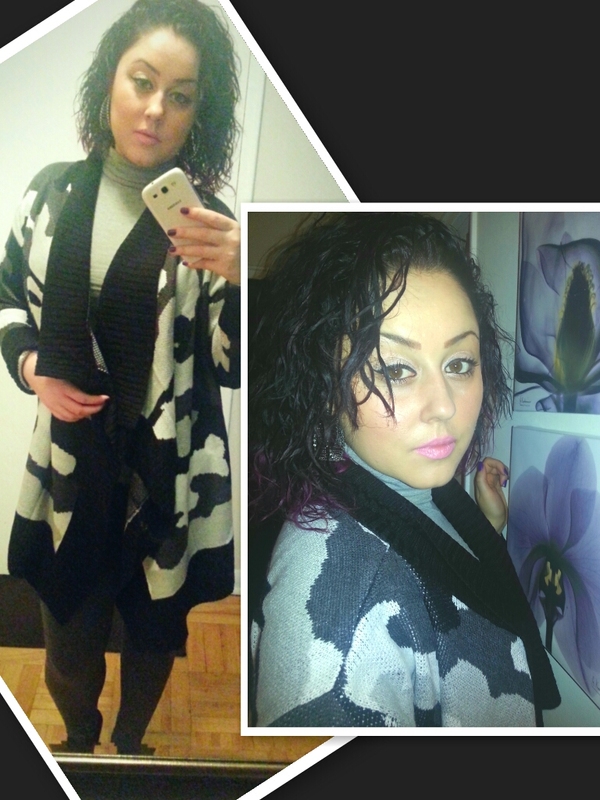 I just got this cardigan not too long ago and I love how it looks and feels and I am going back to get a few more. When it’s not too cold outside, this is great to throw over whatever outfit but since it is pretty damn cold in Toronto already and you definitely need a jacket, I wear this underneath and I love to throw it over at the office. I love this grey army pattern and that it’s different lengths. (See pic) I picked this up from Winners for $25 CAD and they had all different colours and patterns. I chose this one because I like anything army printed even if it’s not your typical army colours and I figured this could match pretty much anything. 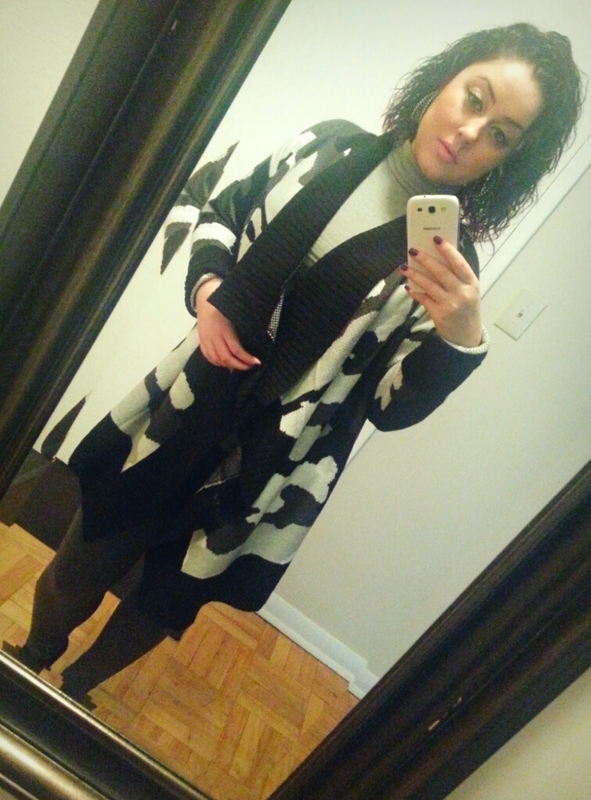 I never used to wear oversized sweaters and cardigans before. I felt that it made me look so wide – basically it was not flattering to my body shape as I am not exactly skinny minny lol but I love it now. 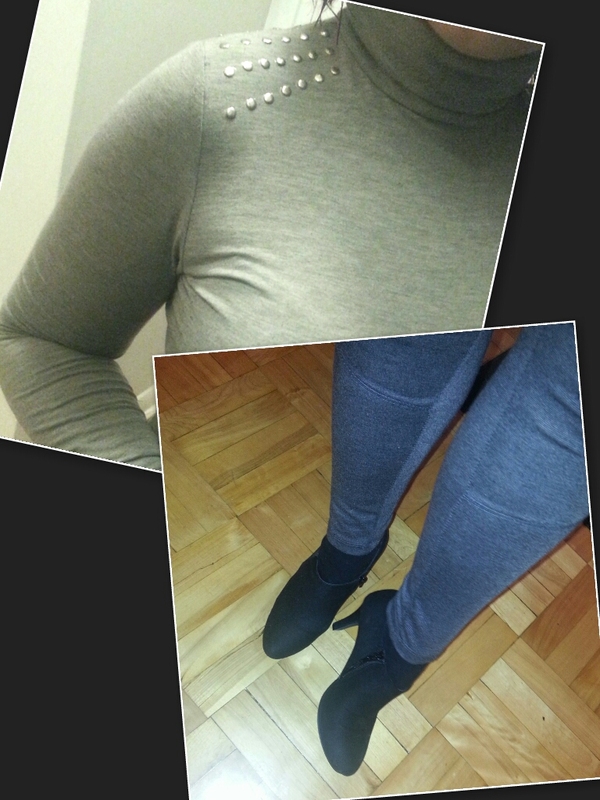 I can wear whatever under, such as this simple light grey body tight turtleneck, and a pair of dark grey leggings. Throwing this over make the entire outfit. One other thing I like doing which I did not today is putting a wide waist belt. I am wearing black ankle booties, also from Winners. Told you, it’s my favourite store ever. Hehe. Also I could not do without my studs and such so the turtle neck has some on both shoulders lol. I love your cardigans they look so stylish compared to the smaller fitted kind. They are perfect with leggings or skinny jeans underneath.